It’s five in the morning. I’ve just finished up an especially long stretch of getting stoned and playing Minecraft, and I’m checking Facebook one last time before bed. After all, never know when yet another Grumpy Cat meme might show up. That’s when I stumble across something that makes me wish I’d simply gone straight to sleep. 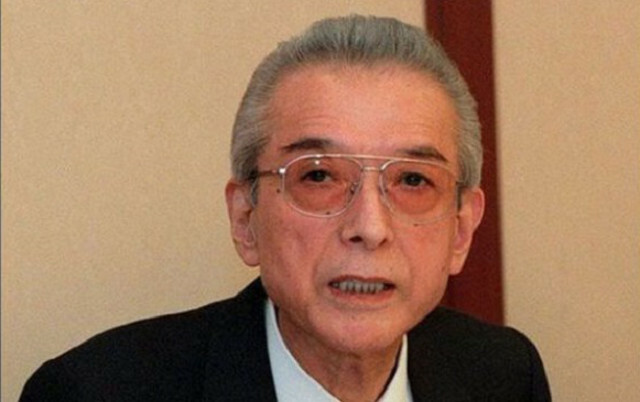 Hiroshi Yamauchi has passed away. This was the man who turned Nintendo from a playing card company into the video game company its known as today. When I hear this news, I rush immediately to open my word processor. A remix of some Castlevania music begins playing on my music player as I consider what to say to honor a man who made my childhood what it was in a very literal sense. Is there anything that can measure up? Would a biased, fanboyish eulogy such as I would muster even be appropriate? In the end, I decide to just write this stream-of-consciousness article. Because ultimately, that’s what video games have brought me in my life. The ability to stop thinking quite so hard about any one thing, and enjoy what was in front of me. The ability to take my mind off the hook for a few minutes, hours, days, and slip into another world where I can allow instinct to guide me. Without Yamauchi, video games as we know them may not even exist. And now, Hiroshi Yamauchi no longer exists himself.